Cricket Fans! 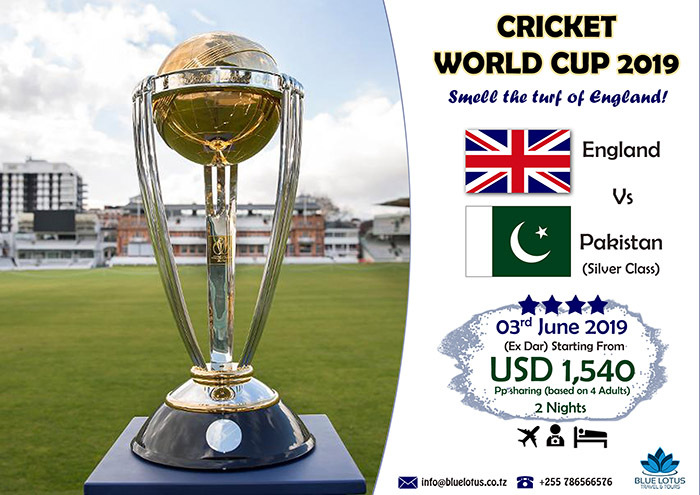 Here is your chance to be present at the ICC Cricket World Cup - England Vs. Pakistan on 3rd June 2019. See flyer below for more details. Book before 15th April 19 or inquire now for more details. BLUE LOTUS TRAVEL & TOURS ~ SERENITY AWAY FROM HOME!